You don’t need to reside in an assisted living facility to benefit from the services of a long-term care pharmacy. Suburban Pharmacy Long-Term Care has a program devoted to independent living; providing high quality personalized pharmacy services to customers nationwide! Let us organize and simplify your medication needs. With Suburban managing your prescriptions, you will never worry about missing a dose again! 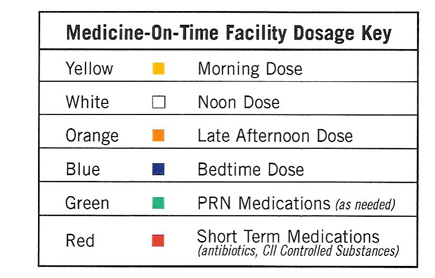 Suburban Pharmacy Long-Term Care uses Medicine-On-Time packaging for our independent customers. 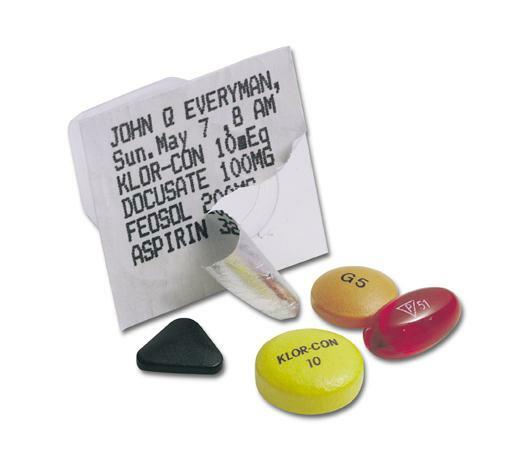 Medicine-on-Time is a customized pill cup that is expertly prepared by your pharmacist. 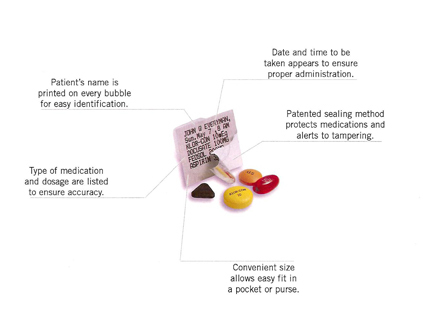 Each safety-sealed cup holds all the pills you or your loved one is prescribed, and is labeled with the customer name, the pill cup’s contents, and precisely when to take the medication. 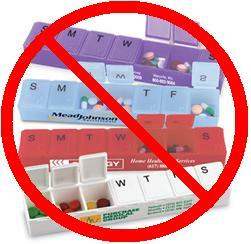 Individual pill cups are assembled in reusable color-coded calendar cards. No more juggling pill bottles. No more guesswork about dosage and times. Routine maintenance medications are provided on a monthly cycle fill, no need to call in refills for your daily scheduled medications! Medication changes are made by the pharmacy, and delivered directly to you. All inhalers, liquids, patches, and nasal sprays will be automatically delivered per insurance guidelines. Labeled dose cups easily tear away from the calendar frame, making it easy and convenient to take your next dose of medication with you when you need to leave home. 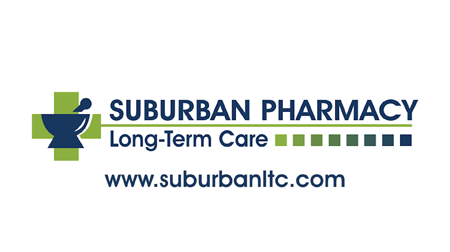 Getting started with Suburban Pharmacy Long- Term Care is easy! Just download our Independent Enrollment Packet, complete, and return via fax or mail to the address listed on the form. Once we receive your information, we will fill only enough medication to last until the first of the next month and send you an outline of what you will receive, and when you can expect delivery. Q: What if I currently have a large supply of some of my medication? A: If you have enough medication to last past the first of the next month, we will figure out what cycle start date works best for you, and send enough of you other medications to last until then. Once you sign up, we take care of all your refills automatically. Q: I take several vitamins, can these be included in my monthly cycle? *We will do our best to order any supplements you are currently taking. In some situations, we may not be able to supply a nutritional supplement. Q: What happens if my doctor makes a change to my prescriptions in the middle of the month? 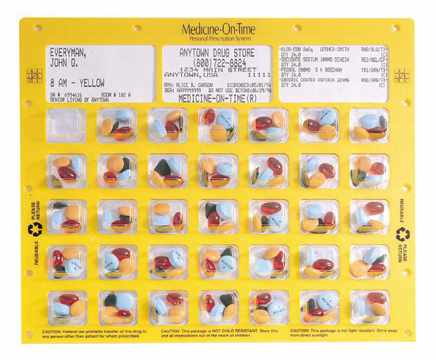 A: All of your medication cards are identified by a unique serial number. When a change to your medication regime is made, we will call you to schedule a pick up of the affected card(s), and send a replacement card. Q: I get all my prescriptions filled another pharmacy, what do I need to do to switch? A: Just let us know where you’re currently receiving your medications. We’ll call you current pharmacy, transfer the prescriptions, then contact your doctor for refills if needed. Q: I live out of state, can I still sign up? A: Absolutely! We will ship your medication cards to whatever address you specify. Q: How much does the Medicine-On-Time service cost? A: We will process all of you prescriptions through your insurance*. You be responsible for the co-pay determined by your insurance (this amount does not vary between pharmacies). There is a low monthly service fee of $25.00 for packaging, and shipping fee. *If you do not have prescription insurance, we will discuss the cost of your medication with you before your first delivery. Q: I would like to us Suburban Pharmacy LTC, but I don't want to sign up for the Medicine-On-Time packaging. Do you provide other options? 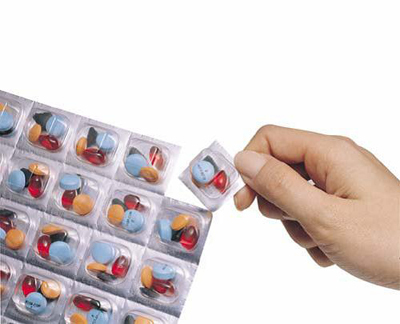 A: If you choose not to use the Medicine-On-Time packaging system, we can provide automatic refills for all you medications in either vials, or traditional blister cards (Each medication is packaged in its own card). If you have any other questions please click here to contact Suburban LTC.